Cardiff City Stadium officially opened on the 22nd of July 2009 with a friendly match between Cardiff City and Celtic. 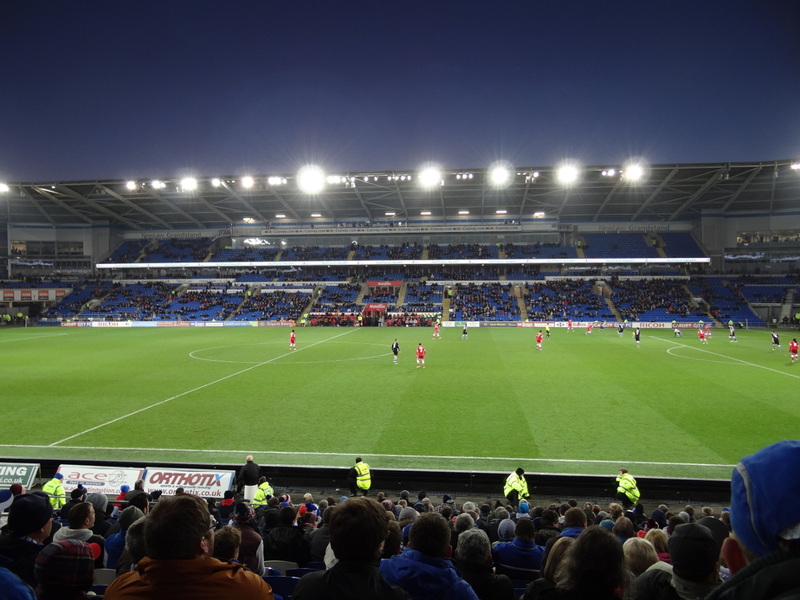 It replaced Cardiff’s old ground Ninian Park, which by the early 2000s had become severely outdated. Plans for a new stadium had already been approved in 2005, but it had taken until 2007 for construction to begin due to the club’s financial problems. 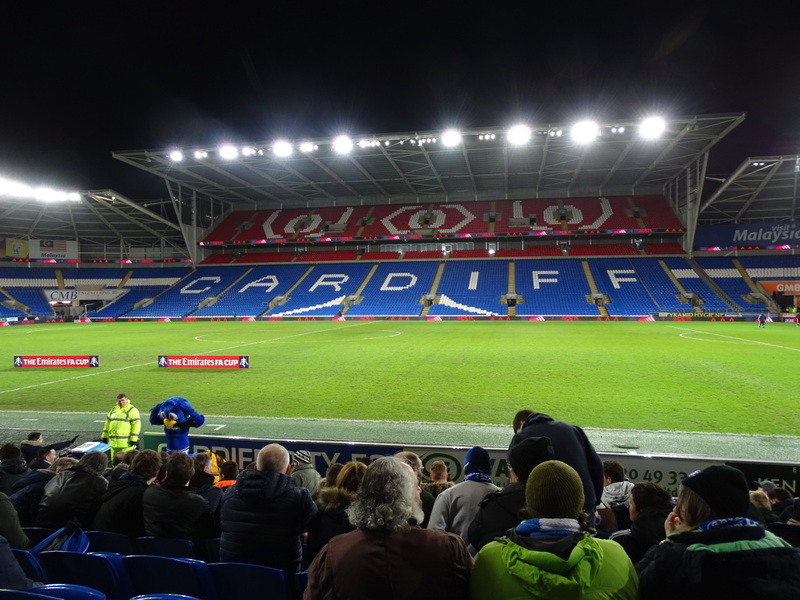 Cardiff City Stadium has recently hosted various internationals of the Wales national team as the Millennium Stadium was deemed too large for the occasion. 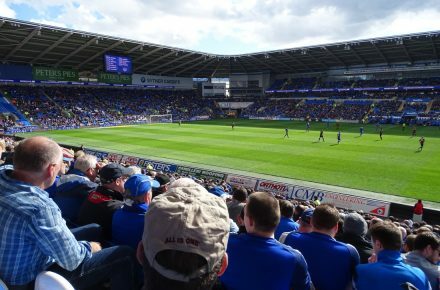 In 2013, following the club’s promotion to the Premier League, Cardiff announced plans to increase capacity to just under 33,500 seats by adding a second tier to the Ninian Stand. Despite the club’s relegation at the end of the season, works went ahead anyway and were completed before the start of the 2014-15 season. In 2015, Cardiff City Stadium hosted the UEFA Super Cup between Champions League winner Real Madrid and Europa League winner Sevilla (2-0). 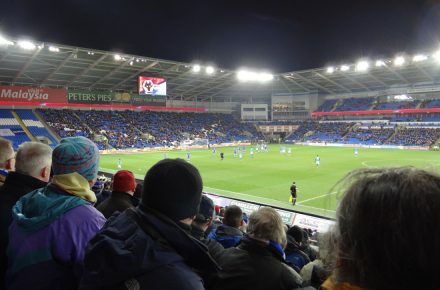 Cardiff City Stadium is located slightly more than a mile east of Cardiff city centre and Cardiff Central Rail station. The walk takes about 30 minutes. The closest rail station is Grangetown, to which regular trains run from Cardiff Central. The journey takes less than 5 minutes and the walk from the station to the stadium a further 5 to 10 minutes. If arriving by car, leave the M4 motorway at junction 33 and take the A4232 toward Cardiff/Barry. After about 6 miles take the exit toward the B4267. There will be signs guiding you to the stadium. 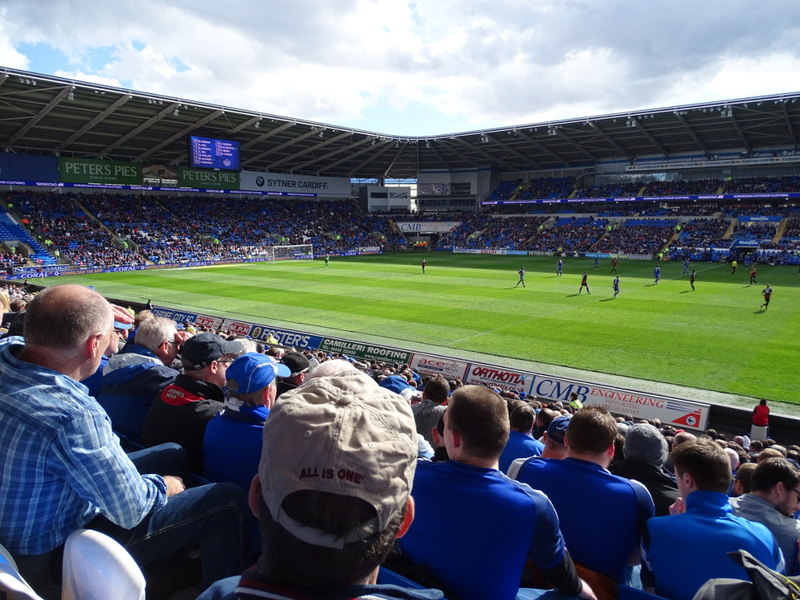 The area around Cardiff City Stadium is mainly residential and there is little around in terms of eating and drinking, which can therefore better be done in Cardiff’s city centre. 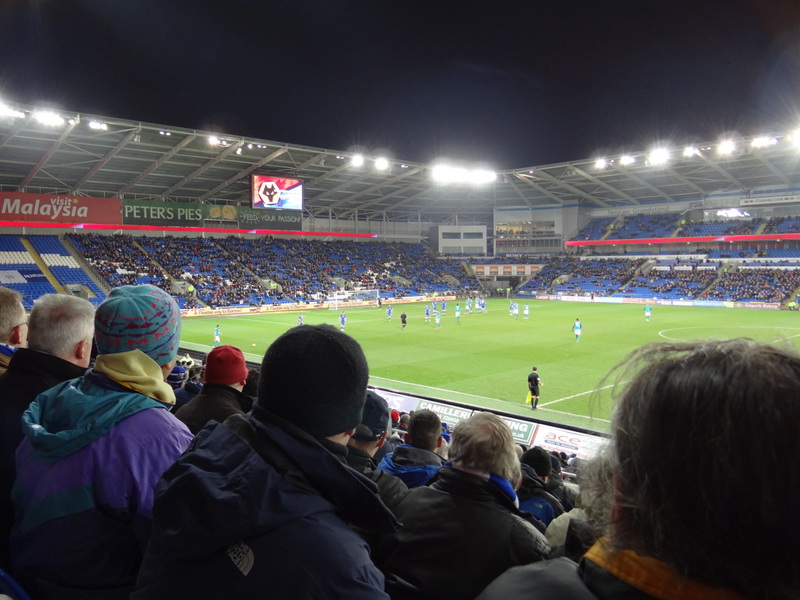 There are neither any hotels in the immediate vicinity of the stadium, but various options on the western side of Cardiff’s city centre or near Cardiff Central, from where one can walk or take a train to the stadium. Click here for an overview of hotels in Cardiff. Tickets for Cardiff City games can be bought online, by phone +44 (0) 845 345 1400, or at the ticket office at the stadium. If tickets remain available, these can also be bought at the ticket office on the day of the match. 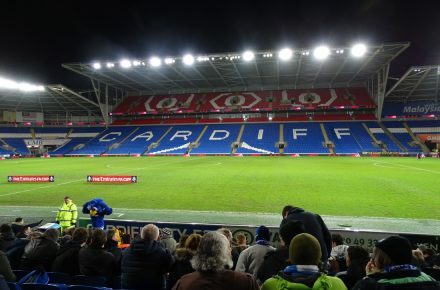 Cardiff rarely sells out in the Championship, but does so regularly in the Premier League. 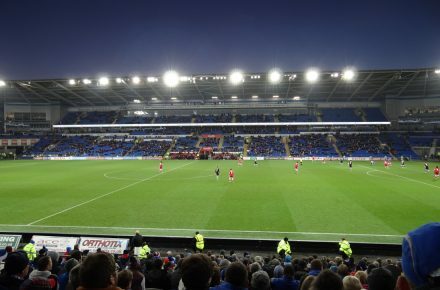 Cardiff have divided their home matches into three pricing categories. Tickets for category C matches, the cheapest, range in price from £27.00 for a seat behind the goal to £38.00 for a seat at the main stand. Tickets for category A matches, the most expensive, range in price from £31.00 to £42.00. 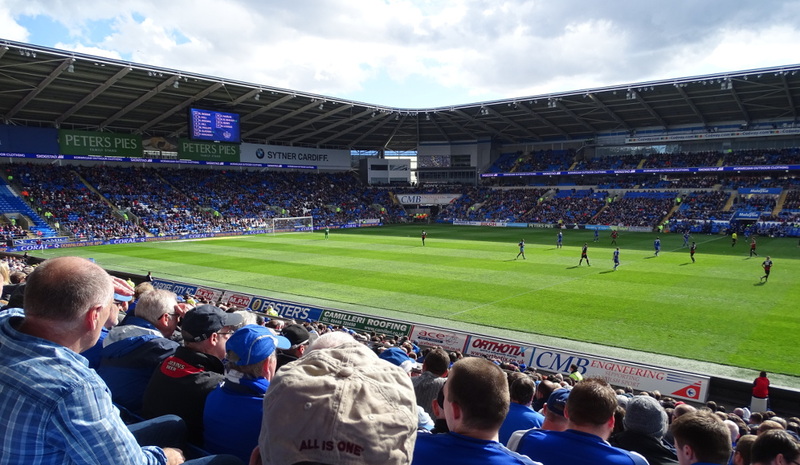 Cardiffcityfc.co.uk – Official website of Cardiff City FC.